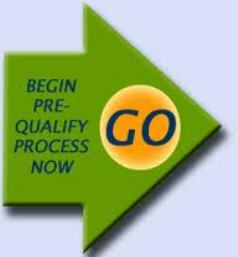 The method of pre-qualification is unique only to us here at SeamanLoan.Com. We utilize this system to avoid wasting time of our client borrowers but instead, increase the chance of getting approved of their seaman loan application in the fastest time possible (1 day release). With the statement above, undergoing pre-qualification is must for all our clients in order to come up with the right provider that will cater to your loan application depending on your unique situation and qualification information as a borrower. If you wanted to first know how much you are going to pay for your monthly amortization, you can view our simple loan calculator to make your own computation. The same instance is stated in our list of seaman loan requirements page. During the whole how to apply process, we will be asking a few questions pertaining to personal information as a loan borrower only. We will need you to disclose certain information necessary for us to assure you that your application will receive the highest priority, high rate of approval and achieve lowest interest rate possible. Our aim is to come up with sufficient data that will help us determine instantly which provider is perfect for you or which branch it most likely near your area best to apply and to be able to give you tips that will help best in preventing your application from getting declined or disapproved. Rest assured that the privacy of your personal information will be treated with confidentiality and will not be disclosed to anyone or any entity in the lending company unless otherwise necessary or only during or upon submission of requirements and actual application to any of our providers. Prior to this, you will be duly informed which of these information will be needed to disclose and only as part of the requirement by our providers. Other than that, all else will be kept in our records only. Should you decide to back out of your application, it is you absolute right to pull out these documents and information along with all other requirements you have submitted to the lending company provider we have assigned your application with. But first, before thinking negative, please read what is in store for you in terms of borrower advantages when you apply with us and avail of our free consultation and application assistance service.